The Lion, The Witch And The Wardrobe : It has taken me decades – literally – to finally pick up another C.S. Lewis book and read it. In high school I read Lewis’ book, “That Hideous Strength” and completely missed Lewis’ message. One decade later I read Lewis’ “Mere Christianity” and fully understood what Lewis was saying. With The Lion, the Witch and the Wardrobe, part of C.S. Lewis’ Chronicles of Narnia series, the gospel message is clearly made evident in an allegorical/mystical style. Lewis used the Narnia series to explain Christ’s love for humankind to children, who are the series’ principal readers. This first novel in a series of seven books is currently a major motion picture now completing a successful run on theatre screens across the U.S. I have yet to see the movie, a Disney production, but I understand that it holds very true to Lewis’ storyline. I expect to see the movie before it leaves theatres later this month; it will become available on DVD this April. Back to the story! The theme of “The Lion” centers around four children, the Pevensie siblings, who get caught up in a land of magic. Entering “Narnia” through a wardrobe (a tall cabinet that holds clothes) — located in a home where they are boarding — the children enter a land where it is always winter, but never Christmas. Under the spell of the White Witch, Narnia is forever in the grip of evil. The land is occupied by talking animals (beavers, for one), spirits, goblins, sprites, but no humans. That is until Lucy Pevensie shows up followed by her brother Edmund and, later, Susan and Peter. Quite obviously the White Witch a/k/a the Queen of Narnia is most interested in humans so she resorts to all sorts of magic and trickery to lure them in. Edmund, the most impressionable of the siblings, is quickly captivated by the White Witch and then sets out to betray the others. Without giving away the storyline, the theme of Narnia clearly reflects the captivity of this present world under Satan, but its past and future deliverance through Jesus Christ. In the form of a lion, Aslan, Lewis brings a savior to Narnia who eventually releases the land from its winter grip and vanquishes the White Witch. For those unfamiliar with the gospel message, The Lion, the Witch and the Wardrobe may be hard to follow. However, Lewis wrote the book in 1950 immediately after the horrors of Word War II and with the Nazi air battle for London fresh in the minds of British citizenry. 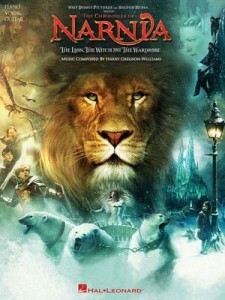 Lewis may have been responding to a strong spiritual hunger of his time when he wrote the series as “Narnia” successfully points seekers to Aslan, much as the Bible points readers to Jesus Christ. I am not sure if I will read the remaining six books in this series, but I am definitely interested in exploring several other writings of Lewis. C.S. Lewis, J.R.R. Tolkien, and Charles Williams were contemporaries who were a part of a group of writers and intellectuals known as The Inklings who met during the 1930s and 1940s at a public house in Oxford. 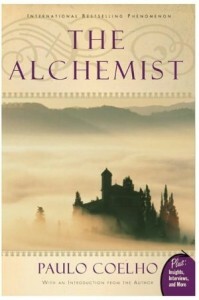 Tolkien, like Lewis, used Christian allegory in many of his writings including, The Lord of the Rings, another series of books that was recently released as a major motion picture. 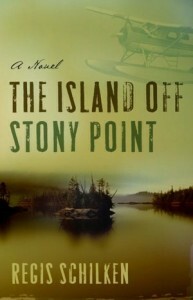 The Island Off Stony Point : Keith Sinteris and his wife Malena (the brains of the operation) hire three skilled accomplices (Stony, Bartolo and Duane) to kidnap three hostages from a monastery along with the holy tabernacle containing consecrated “bread”. For all her planning, Malena had no way of knowing just how awry the hostage taking could go. Detective Jessica Harding and FBI Agent Rob Dexter are on the case. Strong willed and quick witted, Jessica puts the FBI agent in his place from the moment the two were introduced. Intrigued, Rob cannot get her out of his mind. With so few clues, the odds are stacked against the two “good guys”, yet they struggle on while the immense ransom demands continue to haunt the Catholic Church. This is a well-told story line involving a mysterious home on an island that has a distinctive secret. The author uses scenes such as the fantastic cave hideout, the lung-busting chore of stashing loot and a magnificent storm to heighten interest. There are several unique aspects to this suspense-filled novel over others in the adventure crime thriller genre. For one thing, the two women are the strongest characters – both leaders and quick thinkers, but on opposite sides. The Island off Stony Point certainly conveys the inherent goodness of people but also shows the great lengths that desperate and driven people will pursue. I also thought it was interesting that this is actually the second novel involving the leading hostage character, a Father Martin – who was in Regis’s first novel, The Oculi Incident. Fictoids: Short Fiction…Very Short While truth may be stranger than fiction, a fictoid is definitely funnier than a factoid, says the author of an hysterical new book. What exactly is a fictoid? A fictoid is a bit of fictional history making a statement or telling a story in one sentence. 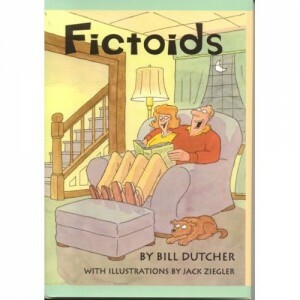 “A typical fictoid tells who did what, when and where,” says Bill Dutcher, author of “Fictoids: Short Fiction…Very Short” . Neither historically accurate nor politically correct, the book takes a random walk through cultural history from 1220 B.C. to 2004. Readers can learn who invented self-storage and who invented both the periodic table and the occasional chair; why Henry the Ninth couldn’t get a date; who founded General Eclectic; who recorded “You were always there for me…but I was always here”; who told his bankers “You can call my loan, but it won’t come”; who opened a high-priced helium bar, believed to be New York’s first Squeak Easy; and whose unauthorized autobiography sold more than one million copies. 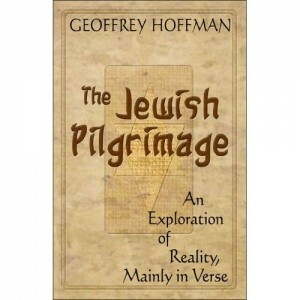 The Jewish Pilgrimage – An Exploration of Reality, Mainly in Verse : The book is clearly written to inspire philosophical discussion. This book depicts the author’s personal journey to find some form of understanding about man, our various versions of God and how this effects society and the use of its knowledge. He debates moral issues and provokes deep thinking in several areas that will never leave my mind as I travel along my own road. Geoffrey questions the justness of creation itself and the gift of consciousness. Also he cleverly uses metaphors when he depicts various pieces of himself by using the universe, planets and astrological colors. Without a doubt this student of life, takes joy in nature. Throughout the book the author makes his awe in the vastness of the universe quite apparent. The lonely and unpitied men whose waste is our defeat. What does it matter if they are of one side or another? I also really appreciated Half Sight, which discussed the inability to witness the good and love in life when there is so much horror to distract us from it. Today Near Watford Market was a very moving piece for me in that it was so visual. It describes an event where the author witnesses a man speaking to the public about his lack of belief in religion. And “circling like wolves, the true-believers snarled, snapping at both his arguments and him.” Yet nearby an elderly women fell, sprawling her shopping items on the ground around her. The non-believer ran over to her side and helped her on her way, “jostling to her assistance through unmoving ranks of true-believing ice”. It is a beautiful story about seeing God where you least expect it. In the later part of the book, the author moves away from poetry and gets in to verse debating who the Jewish people are, what they are perceived as being and the persecution of this group of people through the ages. His interesting look at the holocaust does not dwell on the sorrow or loss of the people – rather it centers on the people themselves. 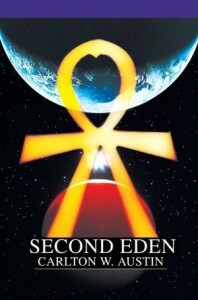 Second Eden : Carlton Austin has crafted a wonderful piece of work in Second Eden – an action-packed suspense thriller with a little romance and some elements of science fiction. Its beautifully designed cover incorporates gorgeous images depicting scenes within the plot and the book is available in both hard and soft cover. I recommend the hard cover, folks. This book is sure to be one that you keep among your favorite authors on your bookshelves. Second Eden is destined for a talented director to take big screen fans on its roller-coaster ride. Best of friends, Peter (an intelligence agent) and Bo (an astronaut), have a bond that even Peter’s affair with Bo’s wife could not break. Bo and some other scientists perish in a mysterious fire just after completing an assignment. The government cover-up pushes Peter to find out what really happened and he becomes torn between patriotism and humanitarianism. He never loved a woman until he met Molly – but can he trust her? In fact, he wonders if he can trust anyone at all. 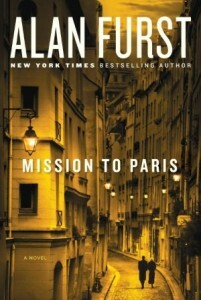 This is definitely an intelligent read; the author incorporates incredible alien artifacts, mysteries, murders, government espionage and complex cover-ups, cat and mouse chase scenes, archeological finds and ancient societies, deceit and a love story that transcends this life into the next. Second Eden certainly has a plot that will make its readers think deeply about our world. Carlton shows us the dangers of where our science could lead. His story teaches that there are repercussions for every single choice that we make – both as individuals and as a society. He brings up social issues, like reminding us of the importance of recognizing the value of women who choose to be mothers – as a career, rather than as a side project. He even includes enlightening views of what might happen to a soul when the body can no longer serve it.